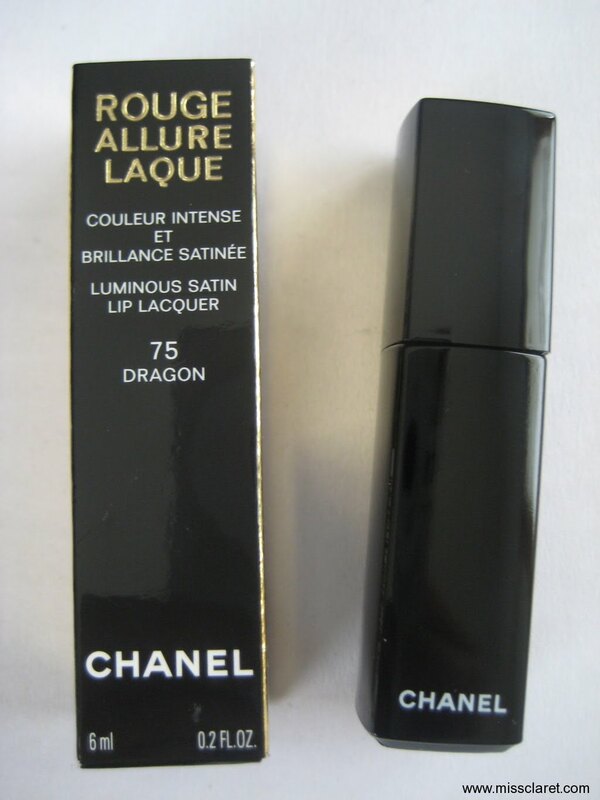 Chanel Rouge Allure Lip Lacquer in 75 Dragon is less orange than 72 Coromandel and a lot darker. 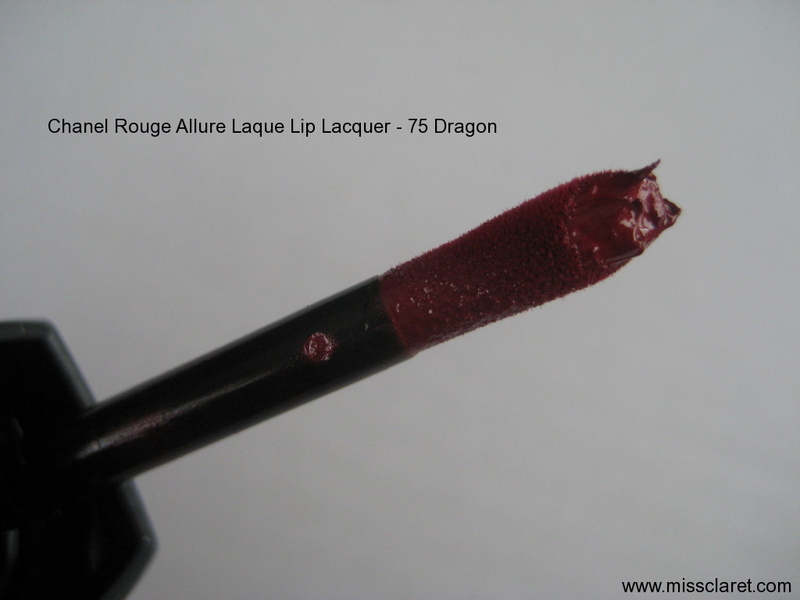 Both shades are incredible and are a delight to wear! Hi, I am new to your blog. I found it when was trying to find swatches of red lip colors that would match my skin tone. I am so excited to find your blog! I love your swatches and color choices! Just one question: What foundation do you use?! You have such lovely skin and it is so close (in color) to mine. I have not yet been able to find any foundation to match my skin! (You do not even want to know how much money has been wasted searching!) Thanks! Hi Briana :) Thank you for the lovely comment- I am delighted you found my blog! 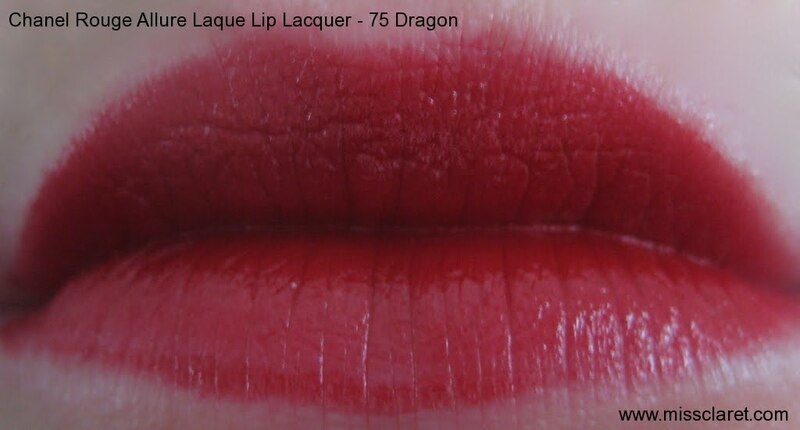 Hi, I found this same color and just had to buy it. The thing is, I don't really use lipstick because my lips are full, and i find it a bit distracting when i have lipstick on (at least that's what i think). But when i tried it in the shop, i thought it was actually OK, even with my brownish skin color. So... i need help! what preps do i need to do before applying this? how do i make it last longer? i found out it stains glasses when i drink (maybe i'll just use a straw ;P)? I understand that you 'had to have' this color - it is A-M-A-Z-I-N-G!! I also blend foundation onto my lips for a base. 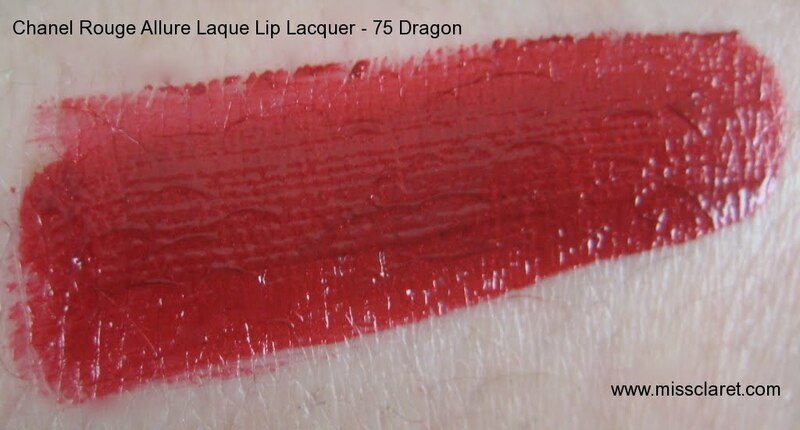 There are products you can use to prepare the lip, but unfortunately few of these will completely stop lipstick staining or appearing on glasses, cups etc! You could try blotting the color after application so it is visible but less glossy. 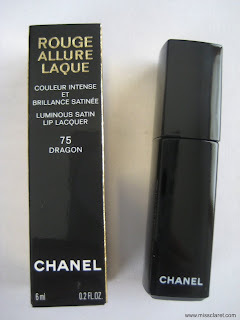 I find the glossier the product, the more quickly it leaves my lips. Good luck and many thanks for reading my blog!